Analog Artist Digital World: Man of La Mancha brings starry eyed ideals to the Shakes. This is truly amazing. 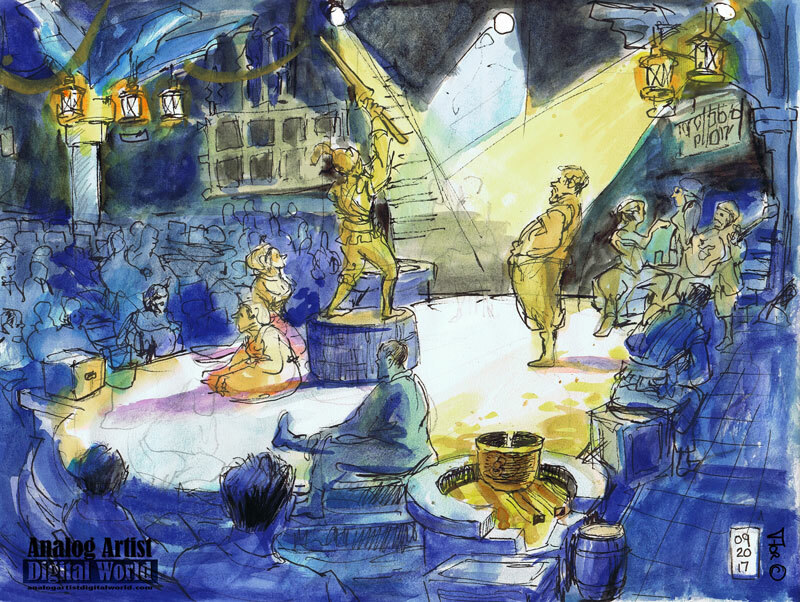 Thank you for this sketch and for your wonderful words about our production. I would love to have a copy of this, if possible. So glad you were moved by La Mancha. Amen. This was a world class production full of emotion, phenomenal vocal talent and innovative staging. I was gobsmacked.